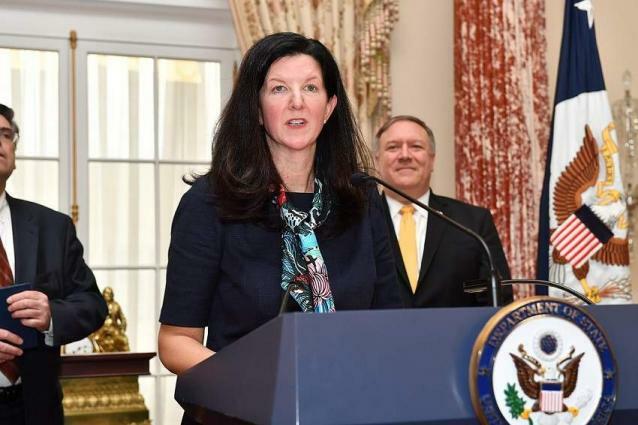 WASHINGTON (UrduPoint News / Sputnik - 17th April, 2019) The United States will not allow any exemptions as it lifts a ban on US lawsuits against foreign firms benefiting from properties seized in Cuba, Assistant Secretary of State for Western Hemisphere Affairs Kimberly Breier told reporters on Wednesday. Secretary of State Mike Pompeo earlier on Wednesday announced that the Trump administration on May 2 would lift a ban that prevented American citizens from suing foreign companies that benefit from their properties which were seized by Cuba after Fidel Castro came to power. When asked if the US would allow any exemptions under the decision, specifically with regard to US companies doing business in Cuba,Breier said, "There will not be any exemptions."